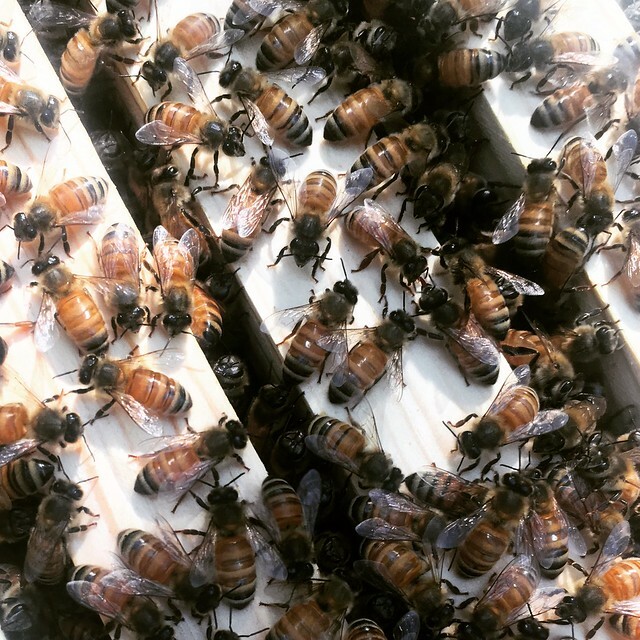 Beekeeping is something that I had been wanting to do for a long time. When I finally got all my supplies and bees, I was over the moon! The whole adventure started when I got my first package and installed it. 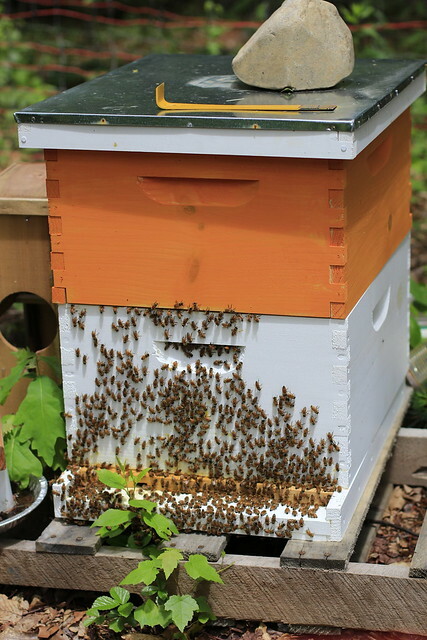 Putting the bees in the hive on the first day was both scary and exciting. 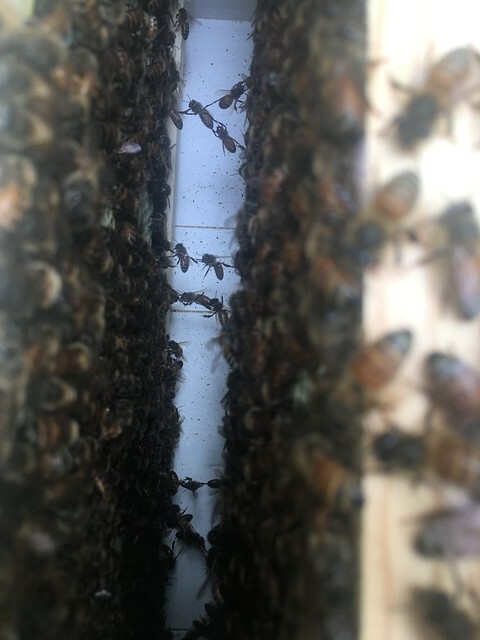 Upon my first inspection, I was able to identify and find the queen in 5 minutes. She is marked with a green dot on her back. I had worried about her all week! 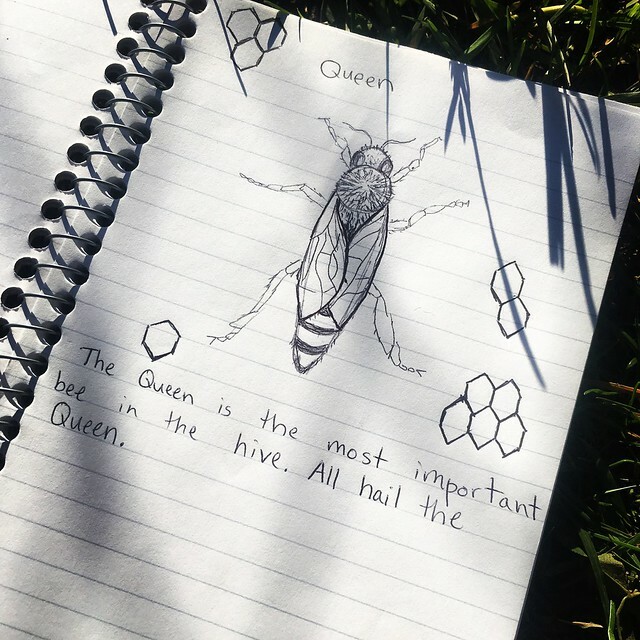 Her survival is imperative to the hive. Her only job is to lay eggs. Without her the hive would not flourish. I’ve been keeping a journal and taking photos. 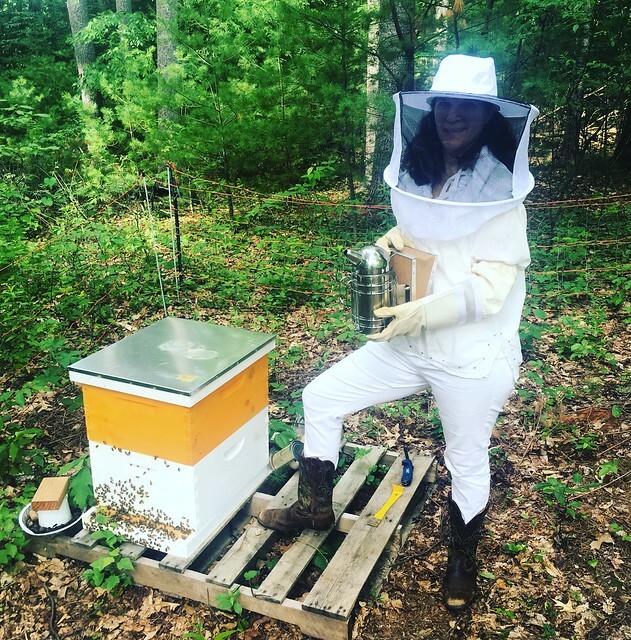 A veil and gloves are essential items for a beginner beekeeper’s protection. 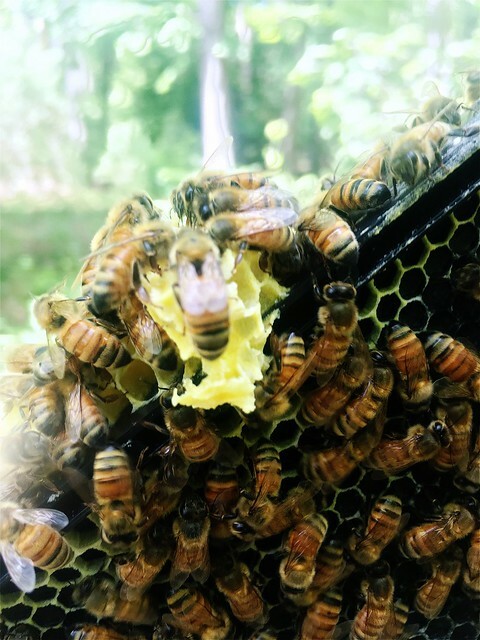 I absolutely love inspections, I am very curious as to what is going on in the hive. I actually have to hold back because I don’t want to disrupt their work. During the first month, I inspected every 7 to 10 days. Now, I am checking every two weeks. 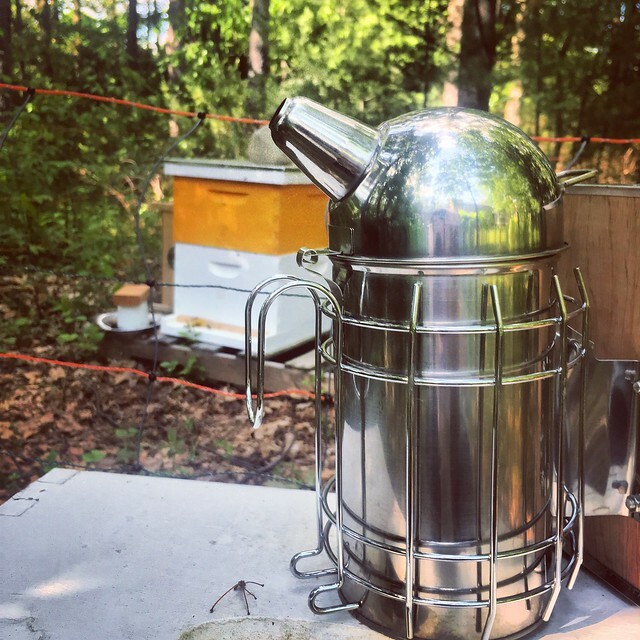 I had been beekeeping for a month before I used the smoker for the first time. This was a bit of a learning experience for me. You really have to let it smoke for at least 10 minutes before using it. Also, I learned to use the smoker fuel I have plus dried pine needles (that I can find everywhere). The pine needles catch on fire quickly and help to make some good smoke. Literally, they are crowding right outside the entrance of the hive. It is something bees do when it is hot outside. Like hanging out on the front porch on a warm summers day. I tried to pull out the entrance reducer to allow more ventilation, but couldn’t because there were so many bees at the entrance of the hive and I didn’t want to disturb them. A chore for another day…. 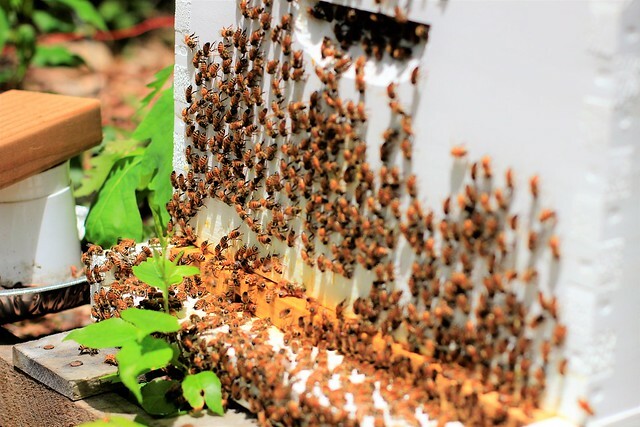 I continue to add more boxes to my hive and the bees continue to build more honey comb. 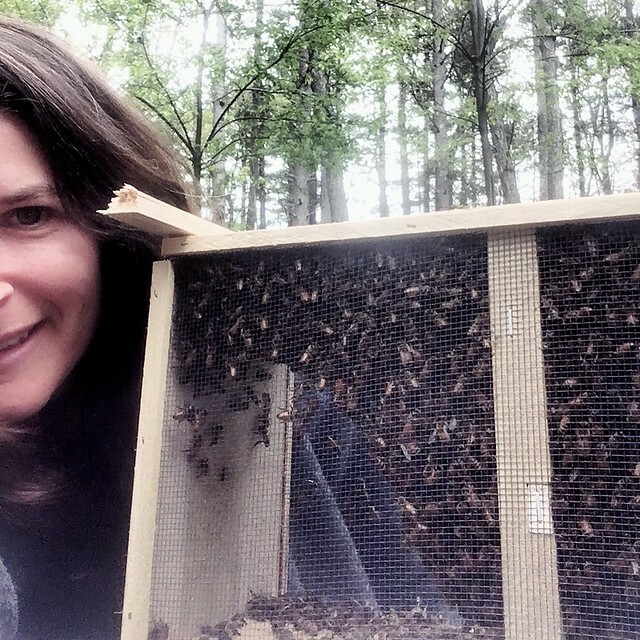 Having bees has been a rewarding experience. I love it! Wonderful photos, Justine….. We’re thrilled for you & looking forward to updates. You are so brave. Don’t know what I’d do without honey and bees. Can’t wait to hear more.